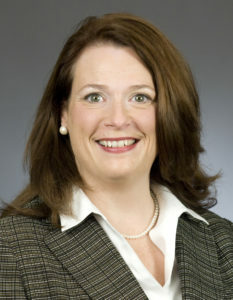 Minnesota House Commerce Committee Chairwoman Laurie Halverson has pulled a bill holding insurers to OEM repair procedures — except on parts — just prior to her panel hearing it, the AASP-MN reported Tuesday. “Satisfactory repair” means all repair operations, parts, paint, and materials necessary to restore the vehicle to its pre-loss condition. Satisfactory repair includes completion of vehicle repairs consistent with the repair procedures, specifications, and other documentation issued by the original equipment manufacturer. However, the bill would have still retained a provision holding insurers to those repair procedures. Anderson said the bill would have been slightly rewritten under the author’s amendment planned by Rep. Ruth Richardson, D-Mendota Heights, to change the “conditioning payment” language to more straightforward language banning denying a claim over the use of an OEM repair procedure. The amended bill would have preserved retained insurers’ exemption to following OEM repair procedures regarding parts. Most automakers have recommended against using anything other than new versions of their own parts, a point raised by alternative parts suppliers in response to similar bills. The existing Clause (7) in Minnesota 72A.201, Subdivision 6, would instead continue to regulate insurer parts behavior. That law states insurers can’t force policyholders to accept aftermarket parts for anything except glass. “The proposal would not have changed current law regarding the types of parts to be used in the repair of a damaged vehicle,” the AASP-MN wrote in a news release Tuesday. Halverson, D-Eagan, pulled the bill from a hearing scheduled for March 15, according to the AASP-MN. 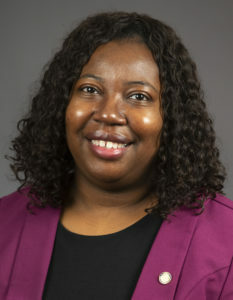 According to the news release, AASP-MN had already conducted “two meetings with representatives of the insurance industry and an exchange of proposed amendments, the repair industry refocused its attention to adding a new provision to the unfair claims practices,” resulting in the planned amendments. Anderson explained that the Commerce Committee likes what it calls “‘peace in the valley. '” It’s not interested in brutal legislative fights, she said. Ultimately, some bills are just going to be unavoidably controversial, it seemed to us. Anderson said sometimes bills held to pursue accord will be granted a hearing regardless in a future Minnesota session, other legislation might not. The AASP-MN was still optimistic that it could see the change come before the Legislature. 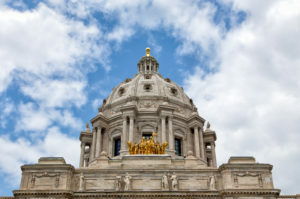 “We want to maintain those good working relationships and expand our network of contacts at the Capitol in hopes of pressing forward with this issue in the coming months,” AASP-MN lobbyist Kevin Walli said in a statement. AASP-MN President Will Latuff (Latuff Brothers Auto Body) and member Darrell Amberson (LaMettry’s Collision) had planned to testify March 15. The ASA, Alliance of Automobile Manufactuers and the Society of Collision Repair Specialists had provided support to AASP-MN, the state trade group said. Be heard: Minnesota lawmaker contact information can be found here.